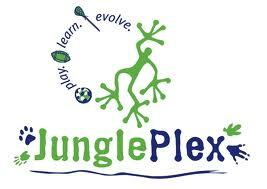 CCLax is now accepting registrations for their indoor league at the JunglePlex in Plymouth, MA this winter. These leagues are played in a 7 v 7 format with 2 attack, 2 midfield, 2 defenders and a goalie. There will be 2 sessions of play offered over the winter months. SPREAD THE WORD!! Teams from Session 1 or Session 2 in 2014-15 - Fairhaven, Falmouth, Nauset (2 teams), Plymouth North, Plymouth South, St. John Paul II, Sturgis. Currently Registered Teams in Session 1 - East Bridgewater, Fairhaven, Falmouth (2), Nauset, Sandwich, St. John Paul II, Sturgis. Spaces are limited and offered on a 1st come, 1st served basis!! With limited Team spaces available, this league is first come-first served!! Each Team Registration must be completed by a Team Representative (adult). Once we receive a Team Registration, we will send the Team Rep a link to a private registration. The Team Rep will be responsible for distributing the team's private player registration. This will protect the integrity of building your team's roster and prevent the collection of league fees. Each team must have at least 12 and no more than 15 players on their roster. (If a team has less than 12 players, they are subject to Free Agents being placed on their roster). Any player not on a SUBMITTED roster of a registered team is considered a Free Agent. If we have enough FA's, we will create a Free Agent team if space will allow.